Many times we’re asked whether a person who owns or controls property can be held responsible if they don’t know that a dangerous condition exists on the property. The simple answer is no. For a homeowner to be held responsible or a property owner or controller to be held responsible, they must have either actual or constructive notice of a defect existing on the property. Actual notice is quite simple. That is simply that the owner knows about it and does nothing to remedy the situation or to warn you of the situation. Constructive notice is where an owner or controller of property could have, with reasonable care, determined that there was a dangerous condition on the property, such as the case where there is a failure to inspect. In such cases, that is deemed notice as well. Under the law, whether it’s actual notice or constructive notice, either will suffice in order to present a claim for any injuries sustained on a home owner’s property for dangerous conditions. However, make sure that you are able to demonstrate notice, which is almost the first thing that has to be demonstrated in order to prove negligence. 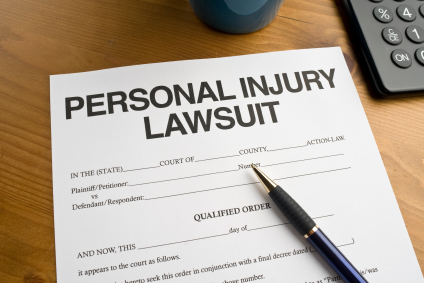 You should consult an attorney who is familiar with personal injury matters and claims against homeowners and controllers of property. The law firm of Mattleman, Weinroth & Miller, P.C., is composed of experienced personal injury attorneys throughout the state of NJ. Please contact the office for a free initial consultation and get any questions answered regarding your specific case.